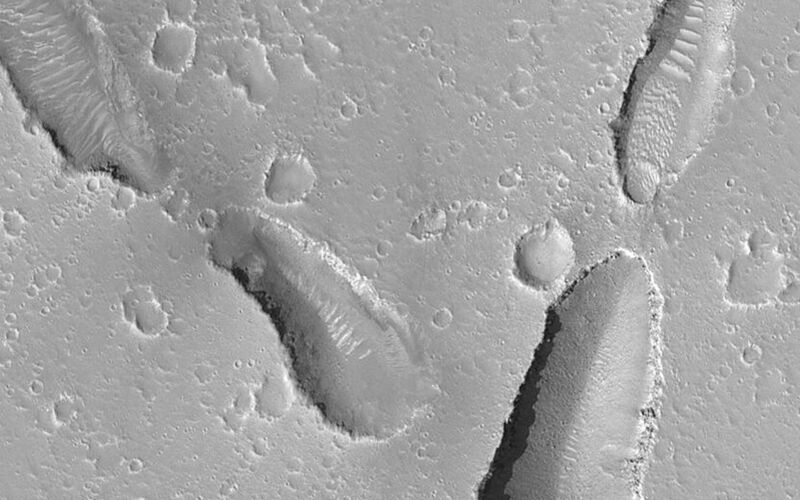 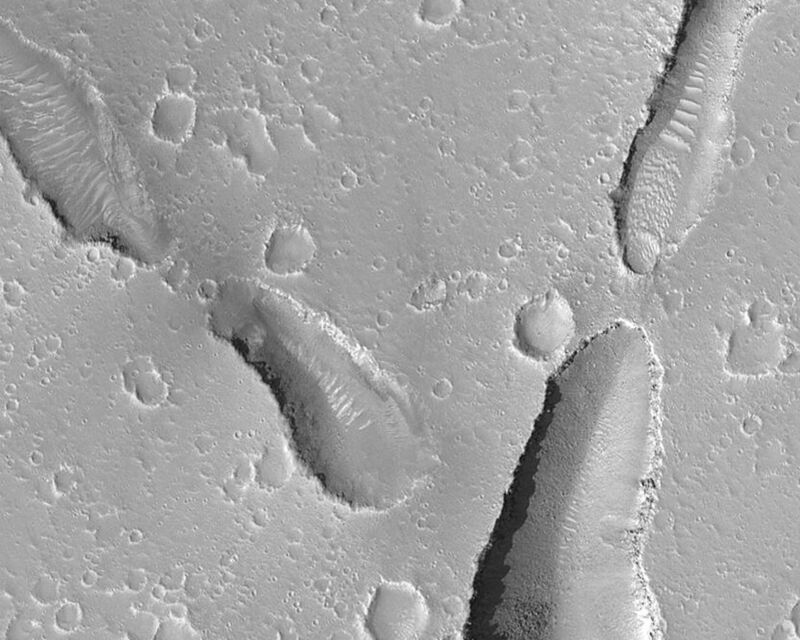 The Hephaestus Fossae are a series of collapsed pits and troughs in central Elysium Planitia. 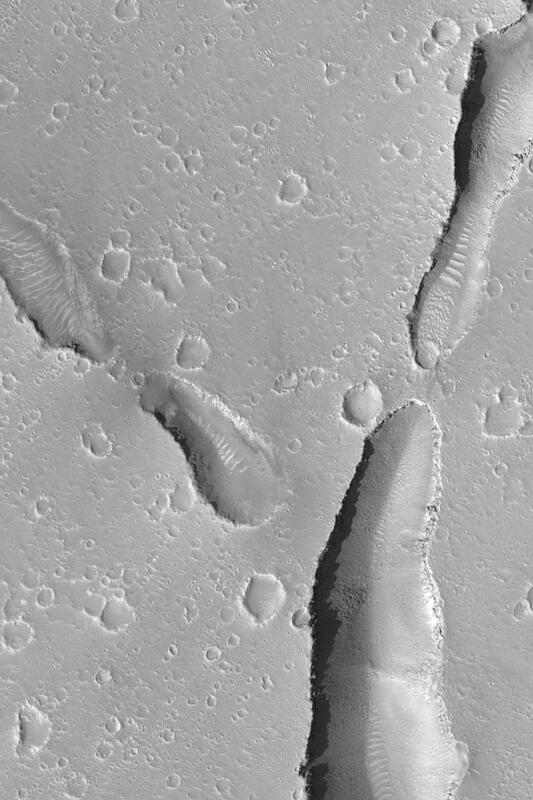 This Mars Global Surveyor (MGS) Mars Orbiter Camera (MOC) provides a high resolution view of the floors, walls, and terrain surrounding a few of the pits and troughs in this region. 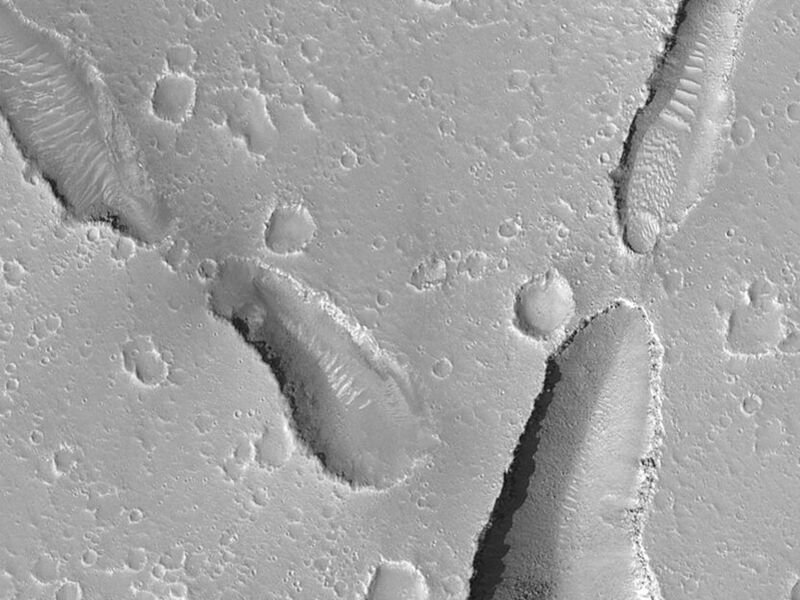 The image is located near 23.0°N, 239.4°W and is about 3 km (1.9 mi) wide. Sunlight illuminates the scene from the lower left.